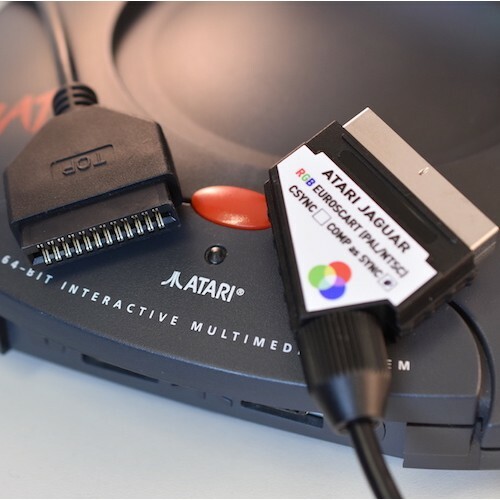 Level up with an RGB SCART! 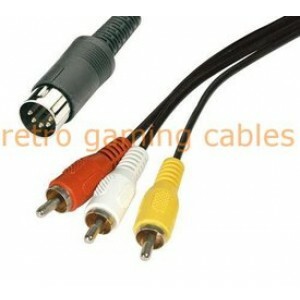 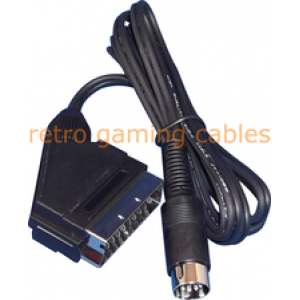 This cable supplies an RGB video signal and stereo sound from your Atari Jaguar which is far superior than the original video cable, plus with an RGB SCART there is no need for TV tuning, simply plug and play. 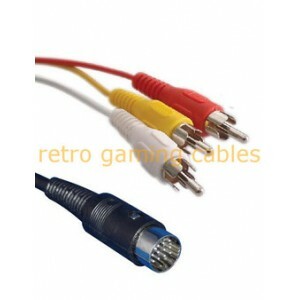 This cable is screened to minimise interference and the AV connector benifits from a professional overmolded jacket to extend the robustness and operatinglifespan of the cable. 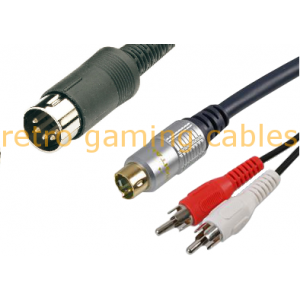 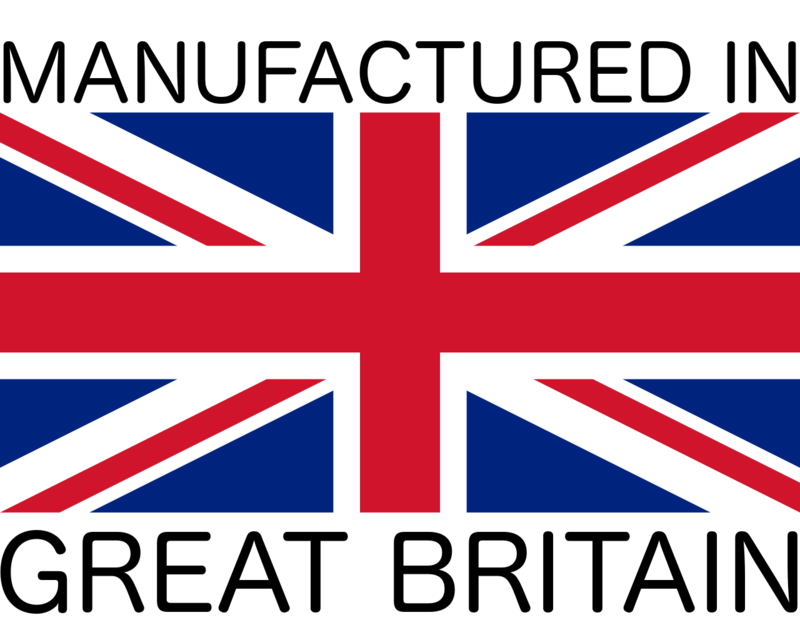 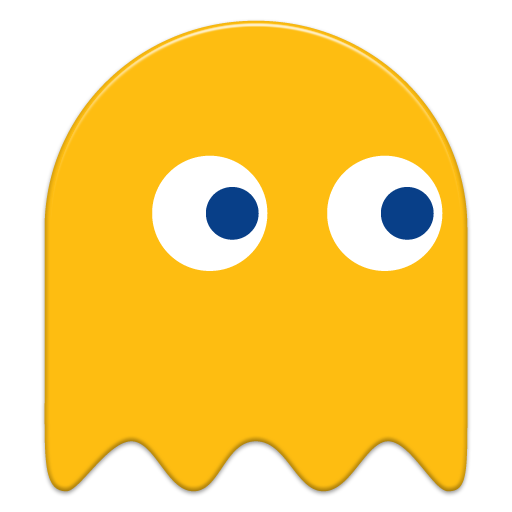 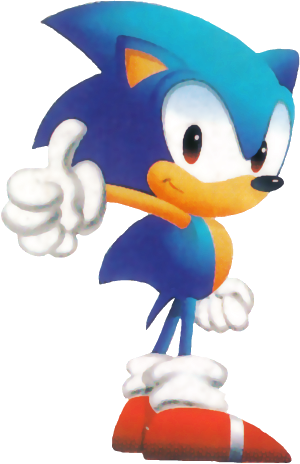 The sync signal type is available as either "sync over composite video" (composite video + sync) or as CSYNC also known as "composite sync" here. 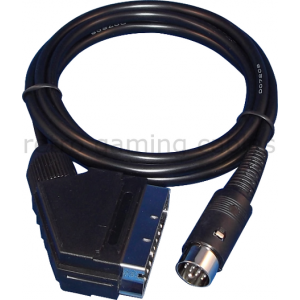 Connector B EuroSCART / Péritel or JP21/RGB-J (select required version from the options).